Green Fields is made of non-bleached corrugated cardboard reinforced with a plywood base. It is rectangular shaped and has no viewing window. The interior is lined with champagne coloured satin. It has the highest percentage of recycled materials of the ECOffin designs. AVAILABLE FOR IMMEDIATE DELIVERY within 3-6 hours notice. Contact us for pricing. Love & Light is made of white corrugated cardboard reinforced with a plywood base. 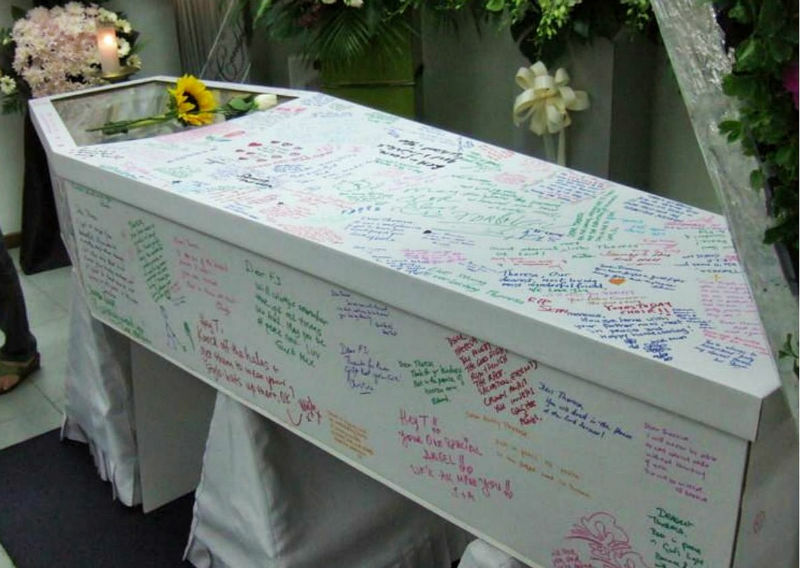 It is a six sided coffin shape. The interior is lined with white floral satin. It includes a clear perspex viewing window. Don’t see what you want? 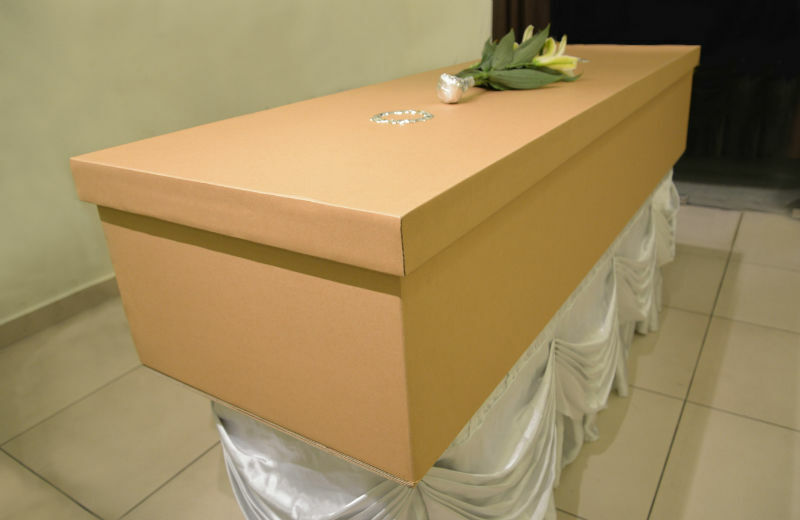 Call us and we will work with you to get a box that suits your needs. ECOffins can be built to your specifications, adjusting a number of variables. 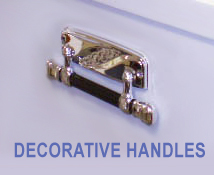 Delivery may take from 1 day to 3 weeks depending on availability and complexity of design. 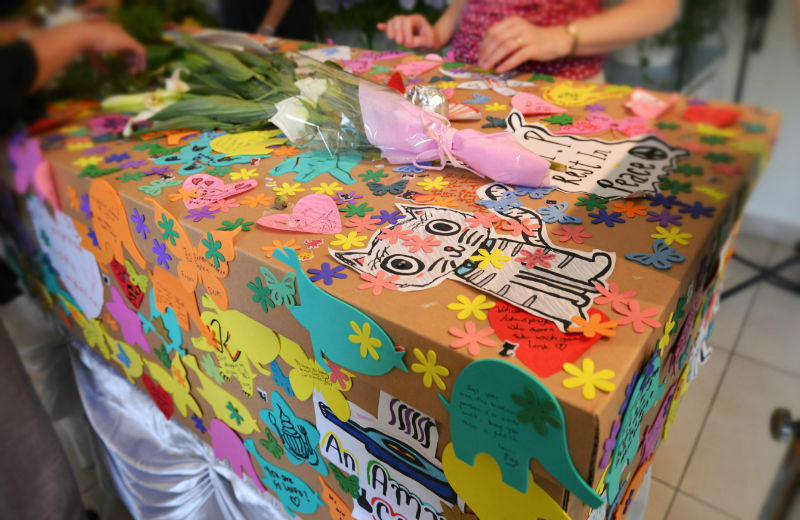 A collections of stickers, markers, shaped post-its, drawing paper, scissors and glue to share your wishes and messages on the coffin. Only available with the purchase of an ECOffin. Contact us for pricing.